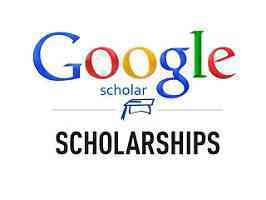 Scholarship Description: Think you could optimize the layout of a Google Data Center? How about scheduling a fleet of drones to make deliveries around the world? Tackle an engineering problem from Google during Hash Code, team programming competition. Scholarship Provider: Google LLC is an American multinational technology company that specializes in Internet-related services and products, which include online advertising technologies, search engine, cloud computing, software, and hardware. Degree Level: The completion is open to pursuing a degree level program. Available Subject: The competition will be awarded in all subjects. Scholarship Benefits: You may be eligible to receive one of the following cash prizes if you advance to, attend, and compete in the Final Round of Hash Code. The prize money specified reflects the amount each person on the winning Team will receive. Eligible Nationalities: Scholarships are available to students from all around the world. A participant can only participate on one (1) Team during the HC Contest.